They say that the fishing on the Mataura river, in the South Island of New Zealand is the best in the world and, having lived a little while Southland and fished it myself, I wouldn´t argue. If you ever get a chance to visit the Mataura it is worth getting in touch with David. I doubt that anybody knows the river better. David pointed out that I had forgotten to sign the painting that I sent him and asked me to send on a signature he could add to it before putting the thing in a frame. 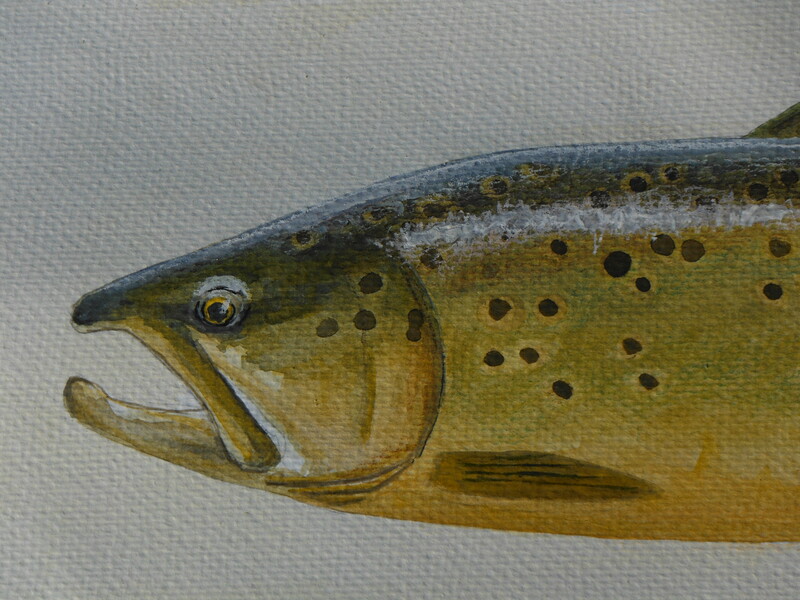 I managed to find another painting of the same fish which I painted at the same time. I have touched it up a little and sent it on to David. I made sure I signed it! If anything I think this second version has a slight edge over the first due to some little tweaks I gave it to liven it up a little. Of course no painting of a fish can ever be as pretty as the real thing but this is my best effort. I hope that he likes it!